Prior to mainstream publication, Armitage published several limited edition pamphlets with small and local poetry presses, all now highly collectible. These included Human Geography, The Distance Between Stars, The Walking Horses, Around Robinson, and Suitcase. His first full-length collection of poems, Zoom!, was published in 1989 by Bloodaxe Books. Further collections are Xanadu (1992, Bloodaxe Books), Kid (1992, Faber & Faber), Book of Matches (1993, Faber & Faber), The Dead Sea Poems (1995, Faber & Faber), Moon Country (with Glyn Maxwell, 1996, Faber & Faber), CloudCuckooLand (1997 Faber and Faber), Killing Time (1999 Faber & Faber), Selected Poems (2001, Faber & Faber), Travelling Songs (2002, Faber & Faber), The Universal Home Doctor (2002, Faber & Faber), Tyrannosaurus Rex Versus the Corduroy Kid (2006, Faber & Faber, Knopf 2008), and Seeing Stars (2010, Faber & Faber, Knopf 2011). Throughout his career, Armitage has also continued to work with smaller and specialised poetry presses. Publications of this type include The Anaesthetist (Prospero Poets, 1994), The Not Dead (Pomona Press 2008), Out of the Blue (Enitharmon, 2008) and the pamphlet The Motorway Service Station as Destination in its Own Right, published by the Poetry Business’s Smith/Doorstep Books in Sheffield (2009). The Twilight Readings is an illustrated publication of Armitage’s residency at the Yorkshire Sculpture Park in 2007, and includes several translated sections from the Wakefield Mystery Plays. With Robert Crawford he edited The Penguin Anthology of Poetry from Britain and Ireland Since 1945. Other anthologies include Short and Sweet, 101 Very Short Poems, and a selection of Ted Hughes’ poetry, both published by Faber & Faber. He has received numerous awards for his poetry including the Sunday Times Young Author of the Year, one of the first Forward Prizes, a Lannan Award and the Keats- Shelley Poetry Prize. In 2012, at the 25th Hay Festival, he was presented with the Hay Medal for Poetry. Zoom! was a Poetry Book Society Choice. Kid was short-listed for the Whitbread Poetry Prize and was a Poetry Book Society Recommendation. The Dead Sea Poems was short-listed for the Whitbread Poetry Prize, the Forward Prize and the T.S Eliot Prize. CloudCuckooLand was short-listed for the Whitbread Poetry Prize. Both The Universal Home Doctor and Tyrannosaurus Rex Versus the Corduroy Kid were short- listed for the T.S. Eliot Prize. Seeing Stars was short-listed for the TS Eliot Prize and was a Poetry Book Society Choice. The Shout was short listed for the Nation Book Critics Circle Award (US). In 1999 Armitage was named the Millennium Poet and published the one-thousand line poem Killing Time. Armitage writes for radio, television and film, and is the author of four stage plays, including Mister Heracles, a version of the Euripides play The Madness of Heracles, and Jerusalem, commissioned by West Yorkshire Playhouse. His dramatisation of The Odyssey, commissioned by the BBC, was broadcast on Radio 4 in 2004 and released on CD through BBC Worldwide. It received the Gold Award at the 2005 Spoken Word Awards. The book version, Homer’s Odyssey – A Retelling, is published by Faber and Faber (2006) in the UK and by Norton in the US. Other BBC radio plays include The Raft of the Medusa (2014) and Orpheus (2015). For over ten years he has been a regular guest of The Mark Radcliffe Show, first on BBC Radio 1, BBC Radio 2 and more recently on the Radcliffe and Maconie Show on BBC 6 Music. His many contributions to BBC Radio 4 include his co-hosting of Armitage and Moore’s Guide to Popular Song and as a reviewer for the weekly arts programme Front Row. He was also a regular contributor to BBC 2’s The Review Show. In 2011 he wrote Black Roses: The Killing of Sophie Lancaster, the Radio 4 play which created unprecedented feedback and listener-response, was repeated soon after its original transmission and short-listed for the 2011 Ted Hughes Award. In 2012 it opened as a stage play at Manchester’s Royal Exchange Theatre and has since been produced as a BBC film, directed by Sue Roberts. The poetic script of Black Roses was published in full by Pomona in 2012. Armitage has written for over a dozen television films, and with director Brian Hill pioneered the docu-musical format which lead to such cult films as Drinking for England and Song Birds. Song Birds was screened at the Sun Dance Film Festival in 2006. He received an Ivor Novello Award for his song-lyrics in the Channel 4 film Feltham Sings, which also won a BAFTA. In 2009 and 2010, Armitage presented films for BBC4 on Sir Gawain and the Green Knight, Arthurian Literature and on the Odyssey, sailing from Troy in Turkey to the Greek island of Ithaca. Armitage wrote the libretto for the opera The Assassin Tree, composed by Stuart McRae, which premiered at the Edinburgh International Festival in 2006. His first novel, Little Green Man, was published by Penguin in 2001. His second novel, The White Stuff was published in 2004. His other prose work includes the best-selling memoir All Points North, (Penguin 1998) which was the Yorkshire Post Book of the Year, and Gig: The Life and Times of a Rock-Star Fantasist, in which he documents his life-long passion for popular music and his role as lead singer and lyricist with the band The Scaremongers. The Scaremongers released their first album, Born In A Barn (Corporation Pop Records) in 2009; the same year they featured on BBC 2’s Culture Show and played Latitude Festival. Simon Armitage has taught at the University of Leeds, the University of Iowa’s Writers’ Workshop, as visiting professor at Falmouth University and as a senior lecturer Manchester Metropolitan University. As an Artist in Residence at London’s South Bank from 2009 to 2012 he conceived and curated Poetry Parnassus, a gathering of world poets and poetry from every Olympic nation as part of Britain’s Cultural Olympiad, a landmark event generally recognised as the biggest coming together of international poets in history. The Shout, a book of new and selected poems was published in the US in April 2005 by Harcourt. It was short-listed for the National Book Critic’s Circle Award. His highly acclaimed translation of the middle English classic poem Sir Gawain and the Green Knight was commissioned by Faber & Faber in the UK and Norton in the US and published in 2007, and now appears in its entirety in the Norton Anthology of English Literature. A further medieval translation, The Death of King Arthur, was published by Faber and Norton in 2011, was a Poetry Book Society Choice and shortlisted for the 2012 TS Eliot Prize. His translation of the medieval poem Pearl was published in 2016. Armitage’s 2012 non fiction book Walking Home, an account of his troubadour journey along the Pennine Way, was a Sunday Times best-seller for over a month and is shortlisted for the 2012 Portico Prize. The follow-up publication, Walking Away also made the Sunday Times best-seller list for non-fiction. From 2010 and 2012, with letter-carver Pip Hall and landscape designer Tom Lonsdale, Armitage worked on the Stanza Stones project, writing the sequence of poems In Memory of Water, the poems being carved into six stones at various sites along the South Pennine watershed between Marsden and Ilkley, now forming the 45 mile Stanza Stones Trail. The project was hosted by Ilkley Literature Festival. The mystery seventh stone, sited in an unnamed location, has yet to be found. Armitage has served as a judge for the Forward Prize, the T.S Eliot Prize, the Whitbread Prize, the Griffin Prize, and in 2006 was a judge for the Man Booker Prize. 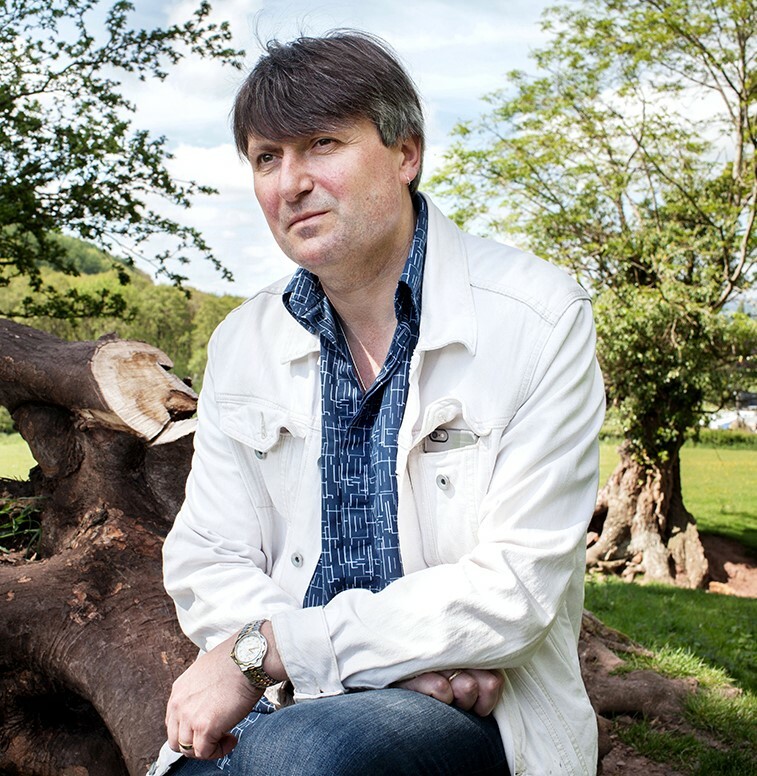 Simon Armitage is a Vice President of the Poetry Society, a Patron of the Arvon Foundation, a Patron of the Friends of Yorkshire Sculpture Park, a Patron of the Wordsworth Trust, and Official Patron of the Elmet Trust. For his commitment and achievements in literature he has been awarded Honorary Doctorates by the University of Portsmouth, the University of Huddersfield, the Open University, Sheffield Hallam University and Leeds University. In 2004 he was elected a Fellow of the Royal Society of Literature.